Moderate IVF is our trademarked gentle ovarian stimulation alternative to conventional IVF. The goal of Moderate IVF is to use a minimal amount of fertility medication to promote the development of a moderate quantity of eggs. With this approach, we improve upon the success of Natural Cycle IVF and avoid many of the risks associated with Conventional IVF. A series of transformational technological advances in the IVF laboratory over the past decade form the basis for the milder approach of Moderate IVF. Laboratory methods which previously presented a struggle, such as blastocyst culture and vitrification (an advanced form of freezing), have been dramatically improved are now the established standard of care. Unfortunately, most clinicians have not adjusted their approach to ovarian stimulation accordingly. Some still insist on pushing the ovary to produce an extra egg or two despite the fact that a large majority of these surplus eggs are of low quality. Advocates of milder forms of stimulation agree that, in light of today’s highly successful IVF lab, the production of more than 6 eggs does generally not improve pregnancy rates. Moderate IVF focuses on quality, not quantity. Stimulation of the ovary is approached with a combination of oral (Clomid) and low-dose injectable fertility medication (Menopur). 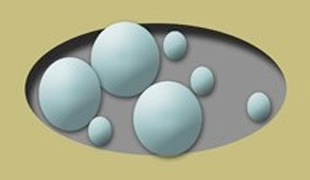 The goal of Moderate IVF is the production of 3-7 eggs (compared to the 10 or more commonly produced with Conventional IVF). Indications for Moderate IVF include women wishing to avoid large amounts of fertility medications. Other candidates may be those who do not respond well to conventional stimulation or those who are at risk for serious complications such as OHSS. For more information about our Moderate IVF program, please contact us at 415.925.9404 or info@marinfertilitycenter.com.